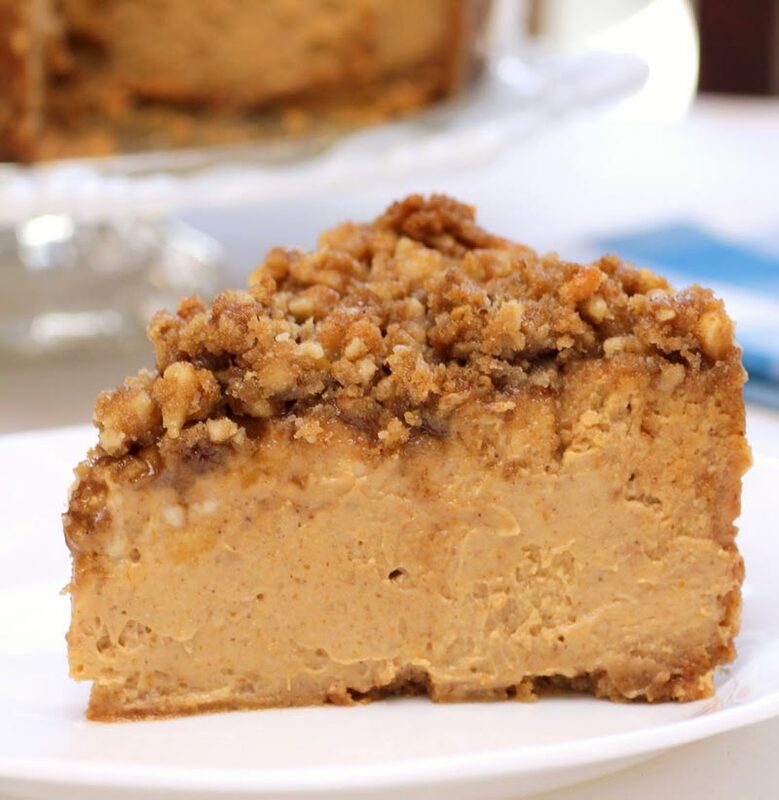 Pumpkin Walnut Cheesecake Recipe it’s a great dessert for Thanksgiving and you can’t eat just one slice! This is a pretty easy recipe considering it looks and tastes like you spent hours on it. Bake 30 minutes longer or until center is just set. Remove springform pan from water bath. Cool on a wire rack for 10 minutes. Carefully run a knife around edge of pan to loosen; cool 1 hour longer. Refrigerate overnight. Remove sides of pan.